A shift is happening in the wastewater industry. No longer satisfied with being defined by just their treatment capabilities, wastewater treatment facilities are now dabbling—and succeeding—in recapturing and reusing resources like water, energy, and nutrients. Playing a key role in making this shift a reality is Ostara’s Pearl nutrient recovery process. The innovative closed-loop solution, which was developed at the University of British Columbia, recovers phosphorus and nitrogen at municipal and industrial wastewater treatment plants and transforms them into a highly valuable and eco-friendly fertilizer called Crystal Green. From an economic standpoint, the Ostara process provides significant cost savings for wastewater treatment plants. Facilities are able to cut back on the amount of chemical treatment needed to tackle struvite and the amount of sludges that need to be handled, leading to fewer operation, maintenance, and capital costs. To add to that, the production of the marketable Crystal Green fertilizer means treatment plants are able to earn revenue for every ton of the fertilizer they produce. This mix of cost savings and revenue generation results in a payback of the capital costs of the system within five-to-seven years, depending on the size of the facility. 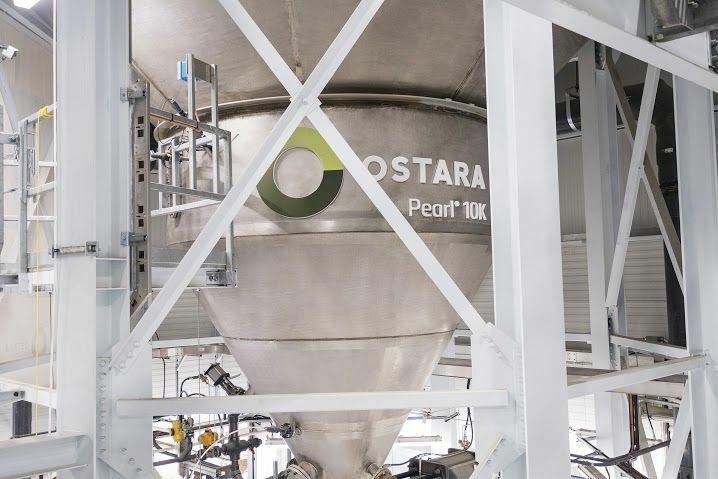 Ostara currently has nine commercially operating facilities, including the world’s largest nutrient recovery facility, the Stickney Water Reclamation Plant in Cicero, Ill. Six additional full facilities are currently in construction and six are in design. Along with expanding in the North American and European markets, the company also plans to break into the agricultural market with its Crystal Green fertilizer. “Phosphorus is an essential nutrient necessary to sustain life and grow the crops and plants needed to feed a growing population,” Abrary said. “In the ground, it is a finite resource, and once mined, which is a carbon-intensive process, it often ends up back in sensitive waterways through fertilizer leaching and runoff. Fundamentally, this is a broken cycle. At Ostara, […] we are closing the loop on the phosphorus cycle,” he said.